• Assistance in conduct of cinema-related training activities in order to nurture outstanding internationally competitive talents; encouragement of cooperative intern work programs between film enterprises and educational institutions so as to advance coordination between academia and industry, and to promote transmission of experience and skills. • Administration of funds for assistance in production of short films, aimed at encouraging enthusiastic creative talents who lack funding for film shooting and, thereby, to steadily develop their abilities to produce feature-length motion pictures. • Administration of funds for assistance in domestic production of feature-length films deemed to have good market potential, multi-faceted creative features, and/or superior cultural and artistic value. • Provision of assistance and subsidies enabling filmmakers to employ professional screenwriters to develop story concepts, or to produce screenplays adapted from existing works of literature or comic books for movies which have good market potential. • Provision of administrative coordination to facilitate governmental agencies’ interaction with filmmakers who wish to use film-shooting sites under their respective jurisdictions. • Encouragement of domestic filmmakers to acquire advanced digital production equipment to enhance digital content quality. • Provision of subsidies aimed at encouraging domestic filmmakers to utilize digital visual special effect techniques to develop innovative story lines and produce a greater diversity of film genres. 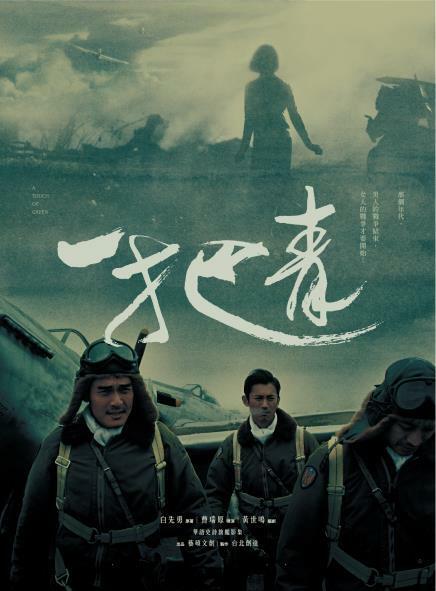 •Provision of diversified assistance for conducting as well as participating in marketing and exhibition activities abroad, to elevate Taiwan cinema’s distinctive international profile. • Promotion of cinematic education programs aimed at cultivating young peoples’ artistic sensibilities, widening their global perspectives, and stimulating the growth of domestic film viewership in Taiwan. • Conduct of international documentary film festivals and screening tours to nurture the talents of documentary filmmakers and boost viewership of their works. 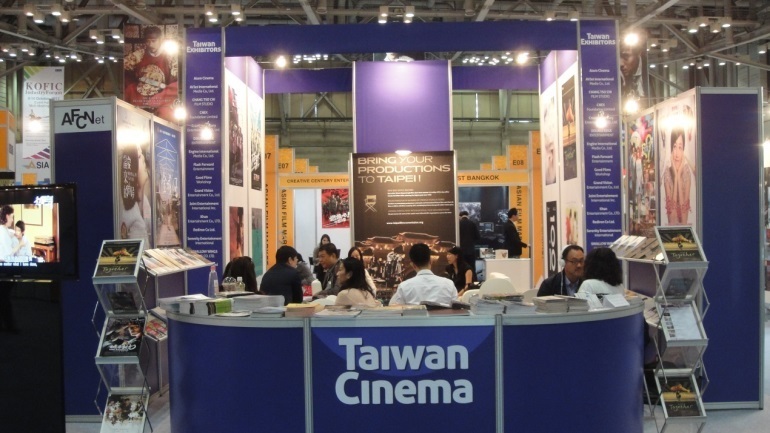 The Taiwan booth at an overseas motion picture trade fair. • Stimulation of cinematic screenplay production by supporting competitions for eliciting and promoting outstanding screenplays, and by sponsoring of the Golden Harvest Awards in recognition of highly original screenplay works. 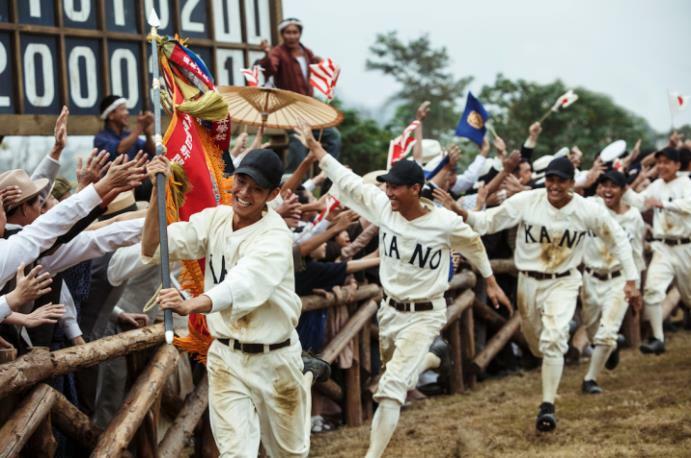 • Provision of assistance to Taiwan’s motion picture enterprises and related key creative artists for participation in international film festival activities; granting of financial rewards to key film production personnel and creative artists whose cinematic works have won awards at major film festivals. • Encouragement of cooperation between business and educational organizations to design and provide specialized curricula focusing on the development of talent in the fields of screenwriting, directing, performance, production processes, audiovisual special effects, and post-production operations. • Commissioning of various organizations to keep the radio & television industry abreast of the latest developments and trends by providing training programs for industry personnel, wherein world-class instructors or outstanding program production teams are invited to conduct training symposia in Taiwan to augment the knowledge and skills of middle- and high-level personnel. 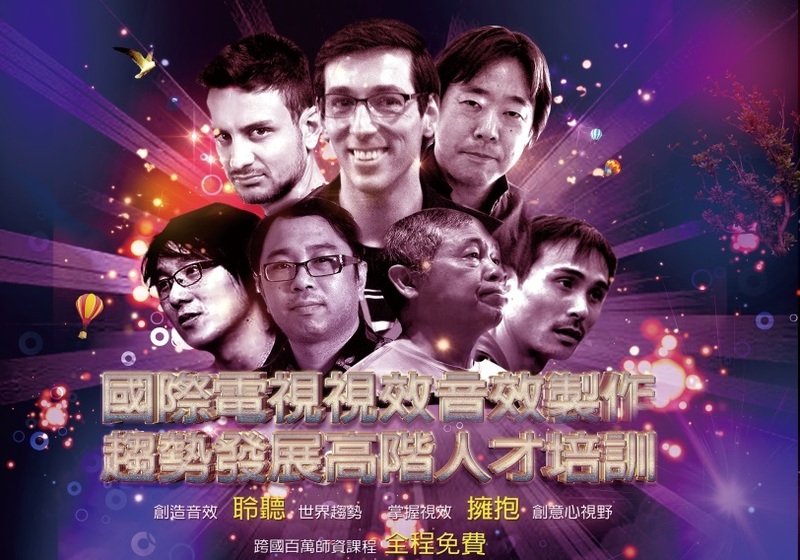 Poster advertising a BAMID-commissioned training program aimed at boosting key TV industry personnel’s mastery of the world’s latest audiovisual production techniques. To help media employing conventional technologies upgrade their operations in step with the trend of digitalization, BAMID assists video content providers in forming synergetic partnerships with other enterprises — such as animation companies, computerized information processing and communications companies, and audiovisual Internet platforms — to produce and broadcast real-time, live, interactive, and multi-view programs transmitted via high-speed communications techniques, as well as to create new program modalities, production processes and profit-making strategies. • Provision of subsidies for television enterprises’ participation in key international film & TV trade shows in order to increase opportunities for overseas sales and boost visibility of Taiwan TV programs, as well as opportunities for cooperation with foreign enterprises. • The Taipei International TV Forum is a BAMID-arranged large-scale event devoted to promotion of business exchanges and investment in the field of television programming. Each year, foreign enterprises are invited to this gathering to negotiate copyright transfers and explore investment and cooperation possibilities. • The Golden Bell Awards are the most prestigious honors in Taiwan’s radio & TV industry, presented in a variety of categories in affirmation of the outstanding quality of radio and television productions and industry workers, as well as to boost their “Taiwan-brand” image in the international community. • The Golden Visual Awards are bestowed on cable TV enterprises for their production of superior programming for local viewing, so as to improve the quality of their customer services and to promote local-community concern and interaction. • The Television Scriptwriting Awards are awarded in yearly competitions to encourage those with interest and creative potential in this field and to expand their opportunities to enter the screenwriting profession. At the same time, such activities are aimed at helping content providers create outstanding productions for public enjoyment. • Beginning in 2015, Overseas TV Drama Broadcasting Awards have been awarded to television content producers and their productions in recognition of success in marketing their programs abroad for broadcasting via both TV outlets and Internet platforms. The purpose of these prizes is to cultivate and expand overseas viewership while spurring content providers to produce superior programs. 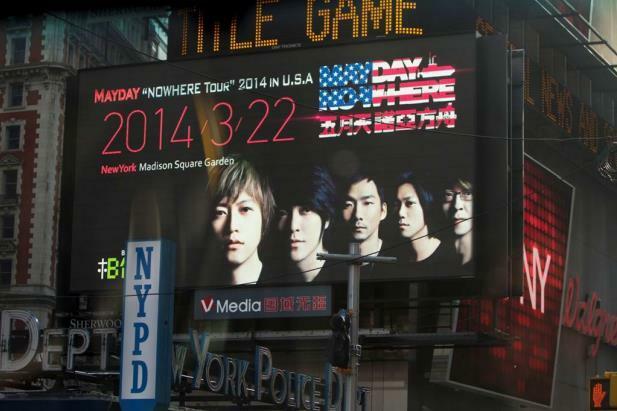 Taiwan’s popular music has long been the prime engine driving evolution of Chinese-language music. 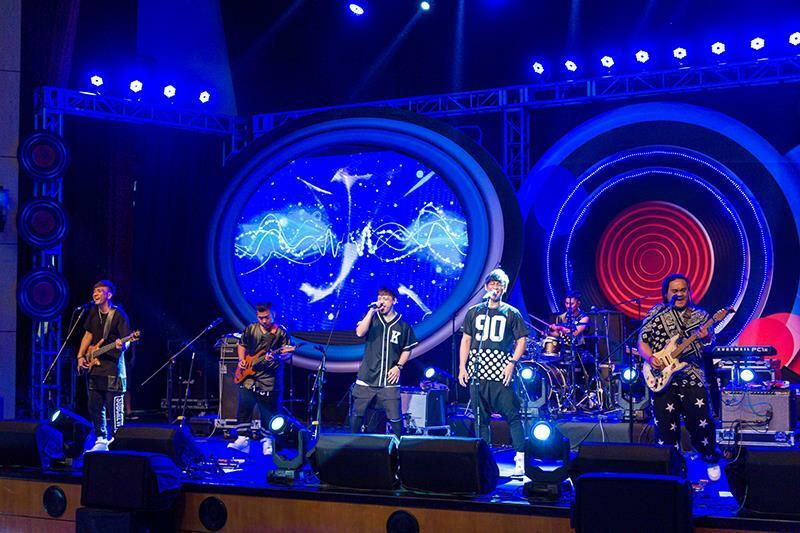 In response to trends in development of digital and other technologies as well as of Internet communications, BAMID provides assistance to Taiwan’s music enterprises’ in their efforts to upgrade their operations through advancement of production processes and techniques, marketing promotion strategies, and cultivation of talents. • Promotion of the A&R Project for advancing the professionalism and skills of popular music agents. • Encouragement of professionals in Taiwan’s popular music world to study abroad, and support for arrangements to bring in foreign experts to share their experience and skills. • Establishment of standards of technical professional excellence in the popular music industry, including accreditation of skill levels and development of related training curricula. • Promotion of cooperation between private enterprise and educational institutions, including the establishment and development of school departments and curricula focusing on popular music. • Subsidization of projects for cultivating creative talents in different ethno-linguistic traditions and of related academic activities. • Promotion of R&D projects for stimulating cross-fertilization between different professional realms and talents, so as to encourage evolution of diversified genres of popular music and formulation of new business strategies, thereby advancing their common progress. • Subsidization of projects for enhancing the competitive powers of popular music SMEs, encompassing their operational capacities and efforts to build distinctive brand images. • Subsidization of popular music enterprises’ application of digital technology and mobile broadband services to produce and broadcast innovative content. • Support for the Live House project for digital recording of live performances and diversification of business operation modalities. • Energization of international marketing of Taiwan’s popular music by assisting in the establishment of the ‘Taiwan Beats’ Internet community platform, which provides audiovisual and related informational content. 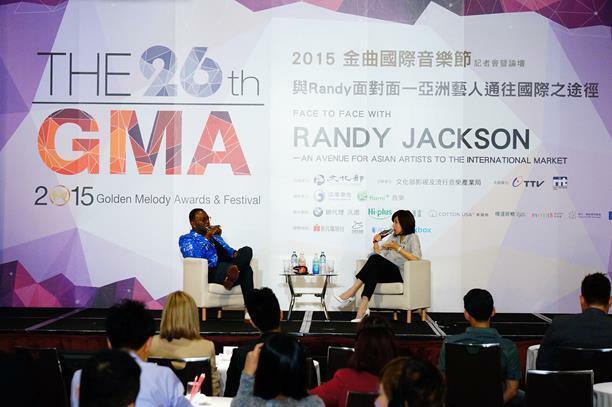 • Enhancing the international standing of Taiwan’s popular music industry by organizing international popular music exhibitions and exchange activities, such as the Golden Melody Awards & Festival (GMA) and the World Music Festival. • Encouragement of diversification of export markets, including subsidization of efforts to stimulate cross-national and cross-territorial confluence of resources and mutually advantageous cooperation in order to expand markets for live performances and musical products. • Support for participation in major music-industry trade shows and music festival performances, aimed at elevating the international image of Taiwan’s popular music. • Provision of assistance for Indie music promotional activities and campus performance tours so as to stimulate the domestic music market. • Sponsoring of the Golden Melody Awards to reward the efforts of popular music enterprises and key workers, with the aim of maintaining its reputation as the most prestigious awards event in the Chinese-language pop music world and elevate its status in the international music world. • Sponsoring of the Golden Indie Music Awards, aimed at encouraging diversification and innovativeness of popular music composition, enriching the creative energy of Taiwan’s popular music. • Sponsoring of the Taiwan Composition and Songwriting Contest to spur the momentum of Holo-language, Hakka-language and indigenous Austronesian-language popular music creation, as well as to encourage the transmission, recording and preservation of the cultural heritages of Taiwan’s various ethno-linguistic communities. through stimulation of musical creation.